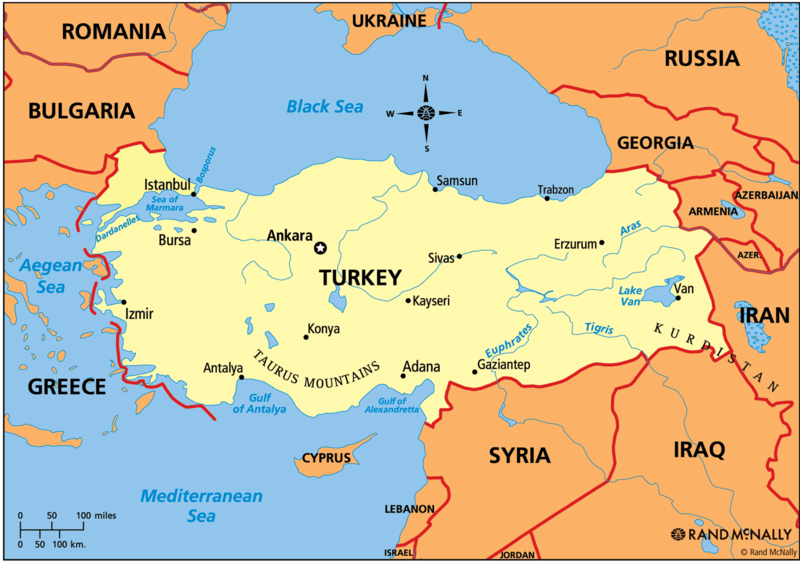 Elections in Turkey – Why go looking for problems? Voters in Turkey go to the polls today to choose their new President. It’s the first time in the history of the Republic that the Head of State will have been chosen by popular vote. In the past it has been a political appointment – the government of Turkey is formed by the largest party (or coalition of parties) in the democratically elected four-year parliament (meclis), the leader of that party becomes the Prime Minister, and his/her government used to appoint for a seven-year term, a President who, according to the current constitution, is a largely symbolic, ceremonial, rubber-stamping figure. This year is different. Apart from the general public having a say, the term of office has been reduced to five years. On the face of it, you might think it’s a step forward for democracy in Turkey – but much public wrangling has surrounded the lead up to the election. Turkey’s controversial Prime Minister of eleven years, Tayyip Erdoğan, is the front-runner, and his very name is anathema to the secular urban elite who are convinced he is bent on eradicating the principles of the Republic’s revered founder, Mustafa Kemal Atatürk. Turkey’s neighbours – How would you feel? 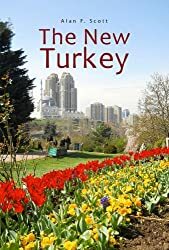 Time will tell, I guess – but purely from the point-of-view of a foreigner living in the country, Turkey looks in much better shape than it did at the turn of the current century, both internally and in terms of its image in the outside world. Apart from the lack of a credible political opposition, Turkey’s biggest problems would seem to be emanating from beyond its borders. Check your atlas. Start from the country’s northwest corner, look at the neighbours, and ask yourself how you would handle your foreign affairs portfolio. First, Georgia. Well, no major problems as a neighbour, but it ranks even lower than Turkey on international lists of state and public sector corruption. Then Armenia and Azerbaijan – mutually implacable enemies, the former harbouring long-standing grievances over the sins of the Ottoman Empire. Iran – historical rival, in a state of chronic instability as a result of its oil wealth and more than a century of Western interference. Iraq, drowning in a sea of violence resulting from a power vacuum created by two US invasions – currently once again being targeted by American bombs. Syria? What can you say? A two-year civil war with no end in sight, driving into Turkey a flood of impoverished refugees whose number now exceeds one million. Where do those Palestinians actually live? Not a contiguous neighbour but a dangerous 600 kilometres to the south, the expansionist state of Israel is bombing into oblivion Palestinians in Gaza. Once again, take a look at that atlas. 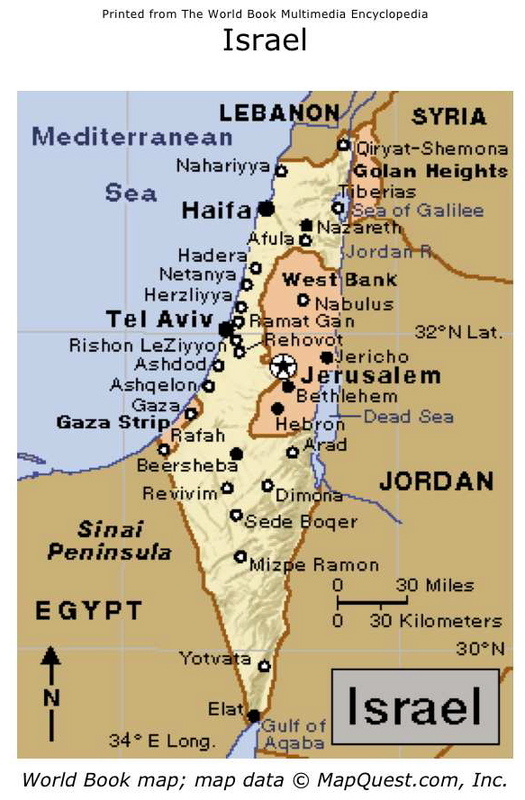 The Gaza Strip is a small United Nations-recognised reservation set aside for Palestinian Arabs displaced by the creation of the Israeli state in 1947. It has been under constant threat from Israel since the beginning, invaded, occupied, embargoed, home to an impoverished Muslim population with no viable economy. Palestinians may have had hopes, when events of the ‘Arab Spring’ overthrew US puppet Hosni Mubarak, that a friendly Egypt might offer some support. After a military coup ousted the democratically elected Mohammed Morsi, those hopes were dashed. Palestinians in Gaza now seem bent on mass suicide, perhaps feeling that there is no other way to generate world recognition of their plight. The latest figures I have seen claim 1900 dead Palestinians, mostly civilians, and 67 Israelis, mostly military. Mercifully, after leaving the Middle East behind, Turkey has several thousand kilometres of Mediterranean and Aegean sea coast distancing it from aggressive neighbours to the south and west. Even there, however, problems exist. From our terrace in Bodrum I can see the island of Kalymnos, maybe 30 kilometres away. 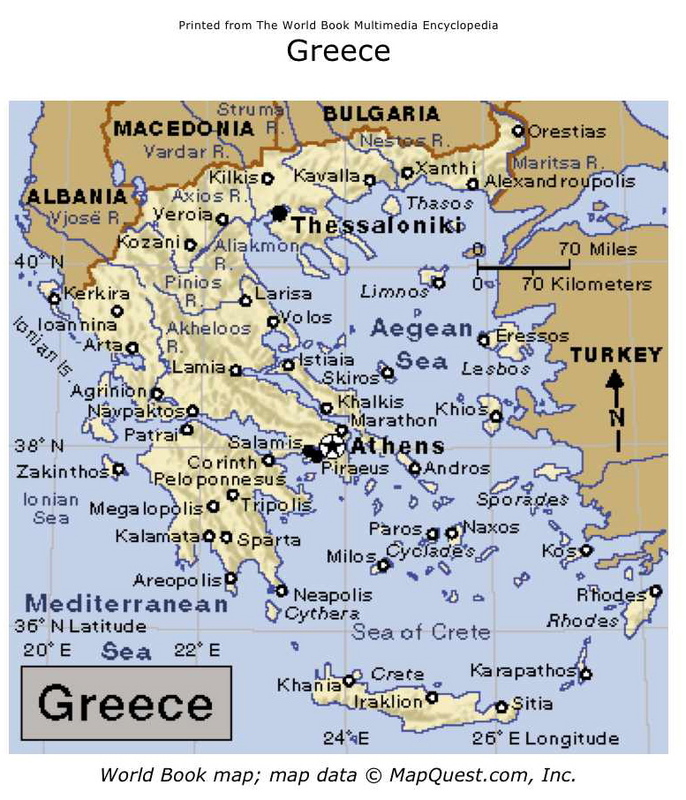 The island, despite lying at least 200 km from the Greek mainland, belongs to Greece, as do 99.9% of islands in the Aegean Sea, plus a few key ones in the Mediterranean. The Cyprus issue smoulders on. The UN has repeatedly suggested compromise solutions which the Greek side has repeatedly rejected. The distance from Cyprus to the Turkish coast, incidentally, is 65 km, and 760 km to that of Greece. Greece and Turkey do have a short land border, but fortunately few shots have been fired in anger since the invading Greek army departed in 1922. Check out those ‘Greek’ islands – and locate Cyprus on the map. Similarly, there has been little friction between Turkey and its next neighbour to the northwest, Bulgaria, since the end of the Communist era. In the 1980s there was a large flood of refugees into Turkey fleeing from the Bulgarian government’s anti-Muslim policies. Turkey may be a little miffed that its east European neighbours have jumped ahead in the queue to join the European Union – but that particular club probably holds less appeal these days than it once did. Again, 300 to 400 kilometres of sea, the Black Sea this time, buffer Turkey from the trouble and strife currently raging in Ukraine. Not easy to know who to support in that business. Russia began, more than two centuries years ago, cleansing Ukraine, Crimea and the Caucasus regions of their predominantly Muslim inhabitants. Western Europe and the USA did little about this in the past, so it’s probably a bit late to start now. 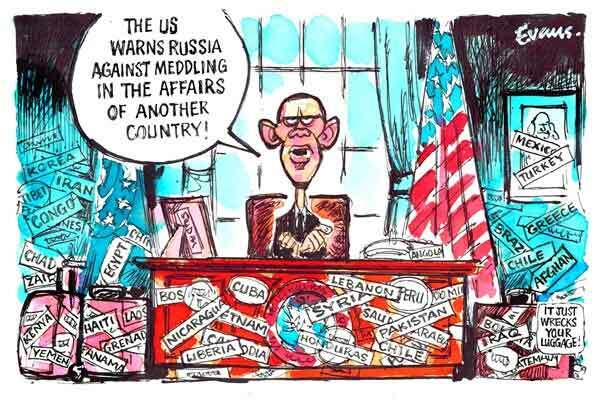 Besides, President Obama’s warnings to Vladimir Putin to stop interfering in Ukraine sound pretty hollow when he is authorising US warplanes to bomb Iraq again. Access to the warm waters of the Black Sea has long been a key goal of Russian governments. At times they would have been happy to seize Istanbul and a large chunk of eastern Turkey as well to reach the Mediterranean. Not easy for the United States, with military bases in the Philippines, Hawaii, Cuba (even! ), Turkey, Bahrain and other globally strategic spots, to sound convincingly righteous. Nevertheless, there go US warships steaming through the Bosporus to rattle sabres at the Russians. Well, with neighbours and allies like those, you might forgive Turkey for being a little nervous and suspicious of foreigners. In the circumstances, it’s probably surprising that they are as hospitable to outsiders as they unquestionably are. Anti-Muslim propaganda in Western media seems to be constantly inventing new bogeys to justify their use of force against sovereign states. So the Muslim Brotherhood won the post-Arab Spring election in Egypt? In a country whose population is more than 90% Muslim, what would you expect? Especially after nearly thirty years of rule by an American puppet dictator. According to recent figures, fewer US citizens ‘identify as Christian’ (whatever that means), but what are the chances of a non-Christian being elected president? ‘Absolute throat-gagging hypocrisy!’ Power to your pencil, Malc! The Bruxellian gnomes of the European Union have been indecently hasty in welcoming eastern European minnow states with pretty dubious economies and hazy concepts of democracy and transparency into their club – intent on rubbing Russia’s nose in the unpalatable fact that they lost the Cold War. Should we be surprised when Russia says, ‘Enough is enough! You’re not getting Ukraine!’ At the same time, the EU is constantly inventing new reasons for keeping Turkey at arm’s length. Does anyone seriously doubt that the main reason is Turkey’s predominantly Muslim population? When it comes to purchasing oil and providing military hardware, however, Muslims are good suppliers and customers. Ex-President of France Nicolas Sarkozy (a strong opponent of Turkey) was recently arrested for having accepted 50 million euros from Libyan ex-President Muammar Gaddafi to help with his 2007 election campaign. Gaddafi’s family and supporters were understandably peeved when Sarkozy led the bombing that finished off their leader in the ‘Arab Spring’ of 2010-11. Just goes to show, you can’t buy friends. Well, I am deliberately posting this before we know the result of the Presidential election in Turkey. Whichever way it goes, I hope that citizens of this country will recognise that the worst dangers are outside the door, and ease back on hunting for bogeys under their own beds. This entry was posted in International affairs, Turkish politics and tagged International affairs, Turkish politics. Bookmark the permalink. Fascinating post, Alan. Yet another reminder of how one’s perceptions of world affairs are almost entirely shaped by their presentation in the media – how could they be otherwise for the vast majority of us? – and that this slant is almost certainly dictated by the prevailing political powers. Even in the UK, the reporting of the BBC (who are in my restricted view the best media organisation in the world) is bound to be shaped, deliberately or otherwise, by the UK government’s (and therefore the US government’s) stance. What the “truth” is, who knows? Thanks for the comment, Leo. For sure the BBC is one of the best. Your last sentence reminds me of the old John Lennon song – ‘Just give me some truth!’ A friend in New Zealand just brought my attention to an interesting controversy in Australia about a journalist, Mike Carlton, terminated by the Sydney Morning Herald for stirring up trouble over the Israeli/Gaza conflict. Check him out if you have time. Hi Alan, thank you for the post! A lot of this talk of internal and external dangers reminds me of scholarship on Turkey’s “Sevres Syndrome.” Are you familiar with it. I wasn’t familiar with the term, but now that I have checked it out, I can say that, for sure, since I came to Turkey, I have been aware of that kind of feeling among some Turks. I have to say that, the more I learn of the machinations of foreign powers, especially Great britain and later the United States, I have some sympathy for the Turks on this one. Certainly there was nothing imaginary about the Treaty of Sevres and its objectives. Interestingly, the Wikipedia entry on the Sevres Syndrome cites Taner Akçam as its major source – of course you know he is one of the most prolific writers on the Armenian ‘genocide’ and no friend of modern Turkey. Thanks for the comment and the chance to learn about that ‘syndrome’. You seem to have adopted the most regressive aspects of Turkish nationalism – i.e. the denying of a genocide – in order to fit in to the country better. Just because you want to feel comfortable living in the country, doesn’t mean you have to believe the horrendous denials of historical atrocities. Think about it. You wouldn’t move to Lebanon and decide to start believing that the Holocaust was a hoax, in a strange attempt to fit in to a country with hostile relations with Israel. Why do the equivalent thing in Turkey? Well, Ollie, I guess you live in the UK, and manage to get on with the business of daily living without bothering yourself too much about the atrocities committed by the British Empire in its rise – the importance of the ‘Triangular Trade’ in financing the Industrial revolution to cite but one example. People seem to live happily in the United States while ignoring the extent to which their great nation’s growth was dependent on slave labour and theft of land from the indigenous people. Those are all indisputable historically verifiable facts. In spite of your quote from a ‘young Turk official’ with I assume, very little power in the Ottoman Empire, I have to tell you that much of the history surrounding the Armenian tragedy is highly debatable. Nevertheless, I appreciate your taking the time to comment.